Heartworm disease is 100% preventable, yet experts estimate one million dogs in the U.S. are infected with the parasite. The challenge of prevention and treatment is particularly acute in animal shelters, which usually receive the dogs when they are already heartworm-positive and face challenges finding resources to treat them. In a free Maddie's Fund® webcast, Brian A. DiGangi, DVM, DABVP, Clinical Assistant Professor of Shelter Medicine at the University of Florida College of Veterinary Medicine, presents a review of the current recommendations for the prevention, diagnosis and treatment of heartworm infections in dogs with an emphasis on practical, safe and effective management strategies for shelter dogs. How Animal Shelters Can Treat and Prevent Heartworm in Dogs is part of an on-going series of webcasts from Maddie's Institute, a program of Maddie's Fund®, the nation's leading funder of shelter medicine education. Maddie's Institute brings cutting edge shelter medicine information from universities and animal welfare leaders to shelter veterinarians, managers and staff as well as private practice veterinarians, rescue groups and community members to increase lifesaving of homeless dogs and cats community-wide. 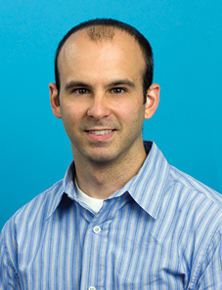 Dr. Brian DiGangi received a Bachelor of Science degree in Animal Science with a minor in Nutrition from North Carolina State University in 2001, and graduated from the University of Florida College of Veterinary Medicine (UF CVM) in 2006. While at UF CVM, Dr. DiGangi completed clinical externships in both shelter medicine and exotic animal medicine, and co-founded the University of Florida Student Chapter of the Association of Shelter Veterinarians. He volunteered at the county animal shelter on a regular basis, organized spay-neuter wet labs for veterinary students, regularly participated in a large feral cat trap-neuter-return program and fostered animals for local rescue organizations.